We serve Northampton with only the best in Limousine Hire Services at all times... Call our friendly staff on 01604 726 679 or 0800 002 9475 for the cheapest rates in Northamptonshire lines are open 24/7. Book the Northampton Hummer Limousine to turn up at the alter in pure elegance and sophistication, the Northampton Black Limo also provides complimentary champagne and soft drinks available from the exclusive bar area. Big night out coming up? Hire out our Northampton 16 Seater Pink Hummer Limo to hype up your night in Northampton. How about booking one of our Northampton Limos for your birthday? Northampton Limo Hire offer a 1 Hour VIP Cruise around Northampton, imagine cruising around Northampton in our Northampton 16 Seater White Limo as passers-by stare with envy. Our top class limos can make anyone look like a million dollars and you'll feel like it as soon as you jump into one of our limos. Encounter the Limo experience like never before with Northampton Limo Hire, we offer complimentary drinks during your journey, choose between a selection of hit CDs to place on the built in, mind-whopping speaker system or just relax on our exquisite, irresistible leather seating whilst you watch your favourite programme on our LCD TV screens. You'll love our famous laser light show as light bounces off the overhead mirror, lighting up the Limo beautifully. Your Chauffeur will always greet you with the friendliest manner and will drive you and your party, worry-free, to your desired destination. 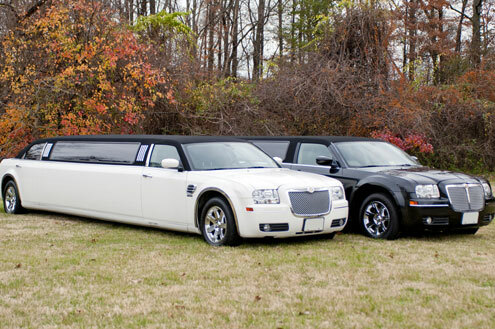 At Northampton Limo Hire, we contribute 110% effort to ensure customer satisfaction to the fullest. That's why our Limos are of the highest quality and cleanness and driven by well mannered, trained Chauffeurs. We offer discount return journeys to those who would prefer to travel back in our Limos and we are never late for a pick-up! Why choose any other Limo company when Northampton Limo Hire is No1! Just give us a ring and witness what we can do for you because at Northampton Limo Hire, we want you to enjoy every minute with us. Ascot Racecourse closed for its exciting £185 million redevelopment in October 2004 to undergo a major redevelopment programme, the most extensive of its type in Europe. Both the track and the Grandstand have been subject to the redevelopment programme. Royal Ascot takes place on June each year - so call today on 01604 726 679 or 0800 002 9475 for your free no obligation Northampton Limo Hire Royal Ascot quotation. 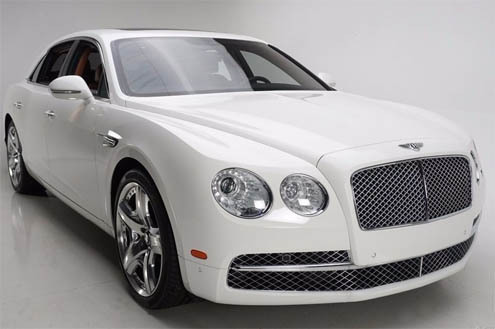 The Bentley Flying Spur comes in White and is fully loaded Bentley Car Hire. The Bentley can be used for prom night, wedding or a day trip to London. For wedding bentley car comes with drinks and bows and for school prom soft drinks for the kids. If you want the best car hire in Northampton then book the Bentley Flying Spur today as we are the cheapest in town! Rolls Royce Phantom is here in Northampton and is the only one in town. Cruse the street in style and let people look at your as the Rolls Royce Phantom hits the Town of Northampton. We offer wedding deals that come with drinks and bows. Planning a meal out for the love one call Northampton Limo Hire today to book the new model Rolls Royce Phantom! Book your School Prom with Northampton Limo Hire! Why not impress your classmates by cruising by in the Northampton 16 Seater Limo. Look like a Hollywood Moviestar as you turn up at the ceremony looking the coolest kid in the year. The Northampton School Prom Hummer Limo is a superb, entertaining Limousine which boasts a variety of inclusive services. Why not pour yourself a drink from our selection located in the bar area? Or turn up the volume on the mind-blowing speaker system and feel the bass swim through the Limo. You'll love our laser light show beam up the Excursion Limo and the groovy disco lights will get your feet moving for the dance floor. Check the overhead mirror out above you as you sit back on our lush, exquisite leather seating. Our Chauffeur will take care of you on the journey, as all of our Chauffeurs are skilled and trained Limo drivers and have all been CRB checked by the police. 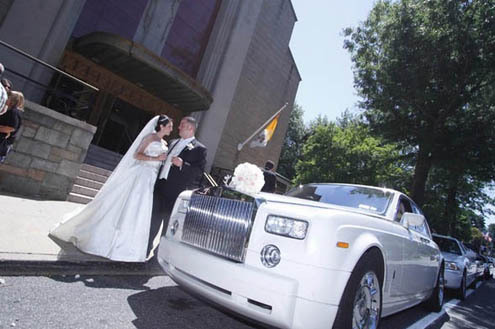 Let Northampton Limo Hire take care of your travel for that special day with the Northampton White Limousine. Pull up at the service looking the grooviest bride in Northampton! Sit back and relax in the Northampton Wedding Black Limo with our luxurious leather seating, pour yourself a drink from our bar area, choose from a selection of champagne and soft drinks. Our Chauffeur will drive you safely to the desired destination while you can enjoy what the Northampton Wedding Hummer Limo has to offer. Northampton Limo Hire Corporate packages are the perfect solution for businessmen and women. How about traveling to work in our Northampton Black Limousine and be the coolest employee of the office. Northampton Hummer Limo is ideal for people who prefer to chill out with a glass of bubbly and relax. The 8 Seater Limo has a sleek design and luxurious interior that makes it so cool. Travel to that all important business meeting in the Northampton Black Limo and enjoy what Northampton Limo Hire have to offer to you. Book the Northampton 16 Seater Hummer Limo for your birthday with Northampton Limo Hire! Be taken for a cruise around Northampton with your mates in the most stylish, coolest Limo in Northampton. You and your party will be taken on a 1 Hour VIP cruise through Northampton, giving you the chance to see what the Hummer Limo has to offer. Take advantage of our bar area which serves complimentary champagne and soft drinks. Why not whack on our room-shaking speaker system and blare out your favorite tunes throughout Northampton.